Social Media Guide: Which Platform is Best For My Business? With over 15 million brands on Facebook alone, social media is becoming an essential part of any business practice. There are clear advantages of having your business on social media such as spreading your company’s message to a wide audience, advertising your product or service online for no cost, and most importantly helping you gain new potential customers. With such a large variety of social media platforms out there, picking the right one for your company may become overwhelming. You might be wondering which platforms are the best fit for your business and which ones will allow you to be the most engaging with your target audience. Here at Ready Artwork, we make your decision easier by providing you with a quick social media guide on the most popular platforms and how to choose the ideal ones for your company! Facebook is a popular social network that connects people with their friends and family through status updates, photos, videos, and shares. Although the demographics are spread out pretty evenly, there’s been a general increase in the user age over the years. The most common users range from 25 to 34 years old, with slightly more female users than male users. Some examples of industries on Facebook include but are not limited to restaurants, e-commerce, real estate, technology, and retail. 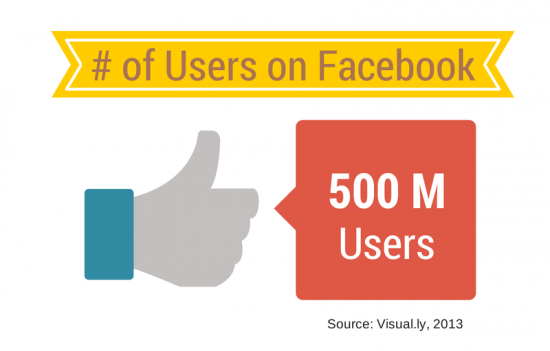 Businesses usually can’t go wrong with having a Facebook account (since a whopping 71% of online adults use Facebook! ), but the platform is most ideal for firms that can post interesting content that people would want to share, such as industry related articles, photos, and videos. Think of Twitter as a social network for Facebook statuses that limits users to 140 characters per post. Twitter also has a “real-time” factor that makes it unique from other platforms. 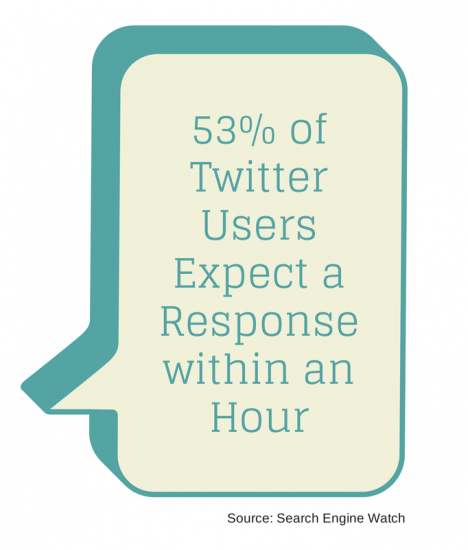 A recent study revealed that “more than 70% of users expect to hear back from the brand they’re interacting with on Twitter”, with 53% of users wanting a response within an hour. The most common users are between the ages 18-29 and slightly more women use this platform. 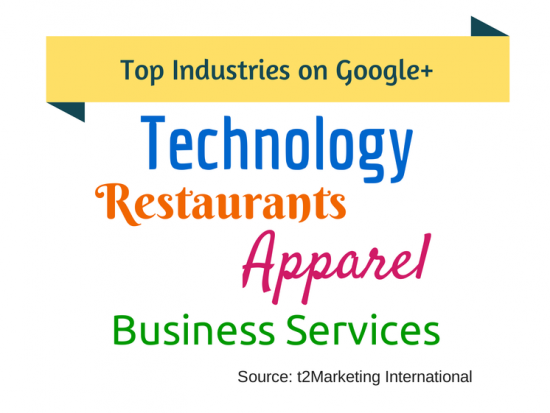 Some popular industries include technology, retail, fashion, and services. Twitter would be ideal for your business if you wish to target a younger crowd and if you can keep your posts brief and concise. Although having photos in your posts improves shareability, it isn’t completely necessary for engaging users—making Twitter great for companies that aren’t focused on the visuals of their products or services. Interacting effectively and timely with Twitter users can also reap great benefits for your brand’s image and increase customer satisfaction. Instagram is a popular photo and video sharing app. 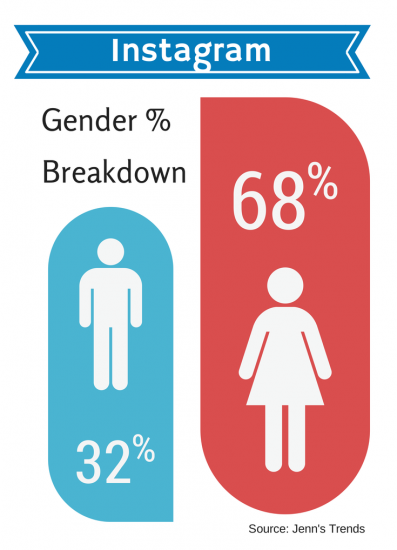 68% of users are female and the majority of users range from ages 18 to 35 years old. Some industries that have adopted Instagram into their social media plan include retail, education, beauty and fashion, food, and small businesses. Instagram is perfect for companies that are highly visual and have photogenic products that can attract users. Its video sharing aspect also makes it ideal for users to see your company’s product in live action. In a nutshell, if your target audience consists of young women and your products are worthy of showing off, Instagram would be a great social media platform for your business. Pinterest is a photo sharing social network that allows users to “pin” images to their customized “boards”. 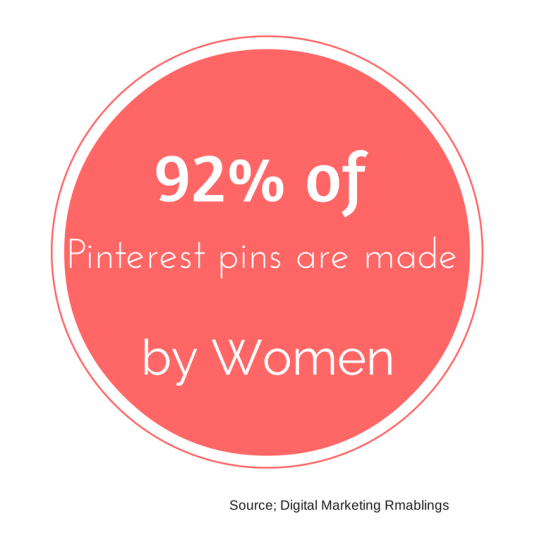 Pinterest is most popular among women (typically older), with about 80% of its users being females. Examples of industries using this platform include food, hospitality, technology, travel, and fashion. Similar to Instagram, Pinterest is ideal for your business if you want to target females and can pin eye-catching visuals related to your product or service. Most pins don’t involve too much text other than a brief caption, so it’s great if you’re focused more on quality images rather than writing content. Pinterest can also be a useful tool if most of your pins come from your own site, because clicking on the pins can redirect users to your website and increase your traffic. If Instagram and Pinterest were combined together, it would be Google Plus. Google Plus has a photo and video sharing aspect that is very similar to Instagram and a newsfeed format that is reminiscent of Pinterest’s boards. With 63% male users, Google Plus is generally male dominated and its most popular users range between 25 to 34 years old. Common industries using the platform include technology, restaurants, Internet and business services, and apparel. Google Plus is ideal for businesses that are targeting males. Like Instagram, a Google Plus post focuses on a photo or video, so this platform would be suitable for your company if you can post quality images relevant to your product or service. Google Plus can also help your business gain more exposure when you contribute to conversations with its “communities” feature. So if you can join “communities” relevant to your industry and post interesting content on there, this platform will be helpful for your business. 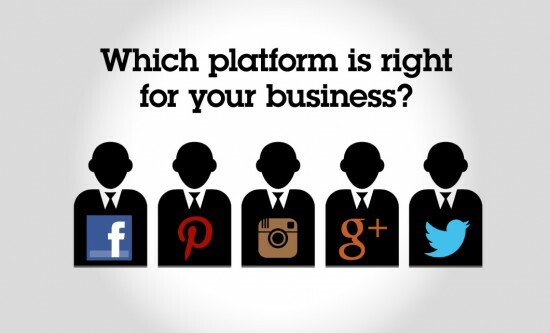 Hopefully this social media guide gave you a better idea on which platforms are the most suitable for your business. Even if the demographics of these platforms don’t exactly fit your target audience, it is still important to take advantage of social media to advertise your product or service and help your company connect with its ideal customer. If your business is still not on these platforms, what are you waiting for? It’s time to jump on that social media bandwagon and get your company noticed!